I really had to mention this EP to you guys as I find myself bumping this release as much as anything else in 2013. I have featured some of Alpha Faktion’s material here before but that in itself does not do this project justice. In many ways, Truth, Lies, & Audiotape is very reminiscent of NonPhixion’s first album, The Future Is Now. Members, Azwun, Kraze, and DJ Enyoutee really have concocted a phenomenal release for hip hop fans of all walks and, at the same time, give the same people food for thought. 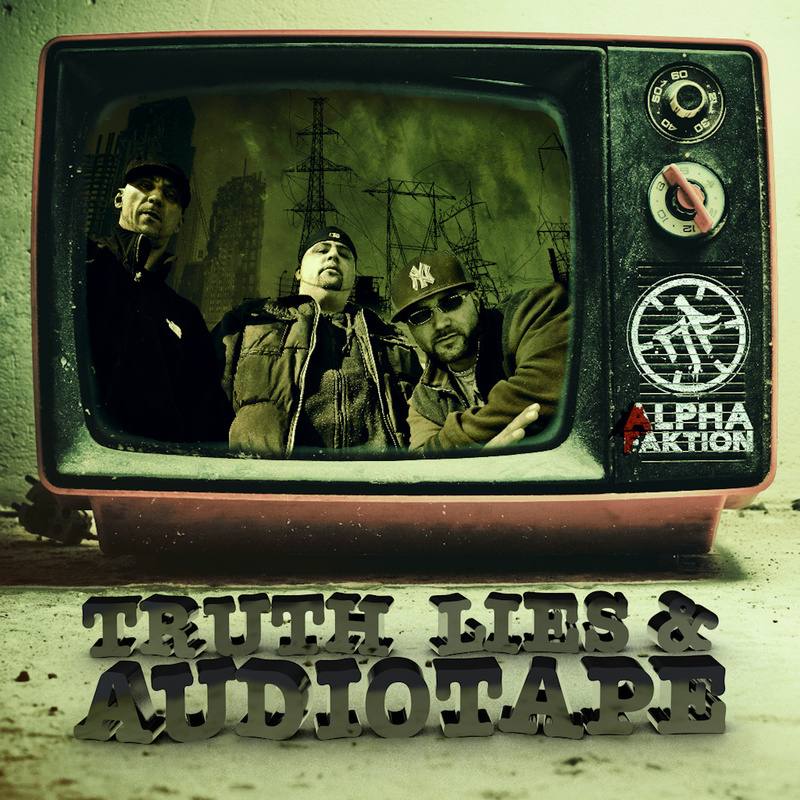 On the first two tracks, Truth, Lies, & Audiotape and Man Against Machine, you have Alpha Faktion rebuking the systematic indoctrination by the government and the media against the masses. It is also on these initial songs that you can hear a chemistry that has been building over a significant amount of time. On, Bodybagz, the team seemingly have no problem just dropping a track that bangs, just for the sake of making it bang. And yes, that joint definitely will ring some bells. But right after that they come back and show the ability to show sincere introspection on the cut, Reflection Of Self. They can tackled many a topic but on each cut they bring a straight boom bap sound and sharp lyricism. They are not taking any shortcuts or easy way outs. Alpha Faktion brings the same mentality to whatever track that they are on. This album should make hip hop purists release a shout of joy and I encourage you to go to their bandcamp and purchase this release to show your support for their art.